CHESTER — Two female candidates with no previous experience in town government are competing for the town’s open first selectman seat in the first contested election with both Democrat and Republican nominees since 2009. Both women are divorced mothers of grown daughters, but with differing background and job experience. Democrat Lauren Gister, 57, is a lawyer who arrived in Chester in 1996 from West Hartford. Republican Carolyn Linn, 55, has lived in Chester since 1989 after growing up in New Britain. Gister served 25 years in the U.S. Marine Corps, retiring at the rank of major in 2002. 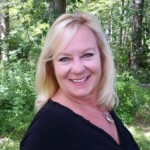 Linn worked at Aetna Insurance for 21 years, retiring from a position as performance consultant to open a pet care business in Chester. 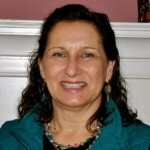 Linn petitioned her way to the Republican nomination in August after the party initially did not nominate a candidate for first selectman at the July 27 caucus. The candidates are competing to succeed two-term Democratic First Selectman Edmund Meehan. A former town planner, Meehan was elected over a candidate supported by the Chester Common Ground Party in 2011, and was uncontested for a second term in 2013. Also departing with Meehan this year is three-term Democratic Selectman Lawrence Sypher. Gister and Linn hold similar views on many town issues, and their contest has been cordial. Both women support the plan to build a new library with a community center center function at North Quarter Park. Gister noted a $1 million state grant awarded for the library project last fall requires voter approval of a building plan and additional funding by 2017. Both candidates said one priority of the coming two-year term would be monitoring and guiding a state Department of Transportation replacement of the Main Street bridge, a project expected to begin early next year that will require a closing of Main Street in the downtown business district for several months. Each acknowledged a long range town plan to reconstruct Main Street in the business district can not be done simultaneously with the bridge project, though Gister noted the town must complete the full Main Street reconstruction in the near future because of aging infrastructure, including water mains, under the heavily used street. Both candidates said adoption of a town charter, or a possible change to four-year terms for board of selectmen, would not be a priority during the 2015-2017 term. Linn said she would seek to improve communications on town government issues for all residents, and oppose any effort to close Chester Elementary School. Gister also pledges improved communications, suggesting evening office hours as one way to be more accessible to residents. Gister said one new initiative she would undertake is adoption of a tax relief ordinance for elderly and low income property owners, noting that Essex has had an elderly tax relief program in place for the past decade.. Both women are campaigning actively door-to-door through the town. Gister is running with Charlene Janecek, a long time resident who used to run the Lunch Box on Main Street and currently serves as Democratic registrar of voters. Linn is running with three-term incumbent Republican Selectman Tom Englert, a Whelen Engineering employee who served briefly as acting first selectman in the fall of 2011 after former republican First Selectman tom Marsh resigned to take a job in Vermont. The two parties are close in fundraising for the campaign, according to an Oct. 10 filing. The Chester Democratic Town Committee has raised $5,070 since the beginning of the year, with Republicans raising $4,729. Two big donors for the Democrats are residents James Miller and Robert Gorman, each contributing $1,000.